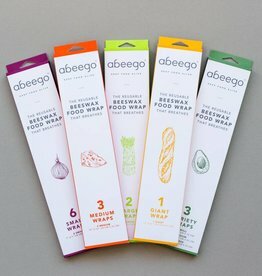 Abeego picks up where the peel leaves off. Our beeswax wrap protects food from air and moisture and lets it breathe just like nature’s lemon peel, onion skin and cheese rind. Keep Food Alive.